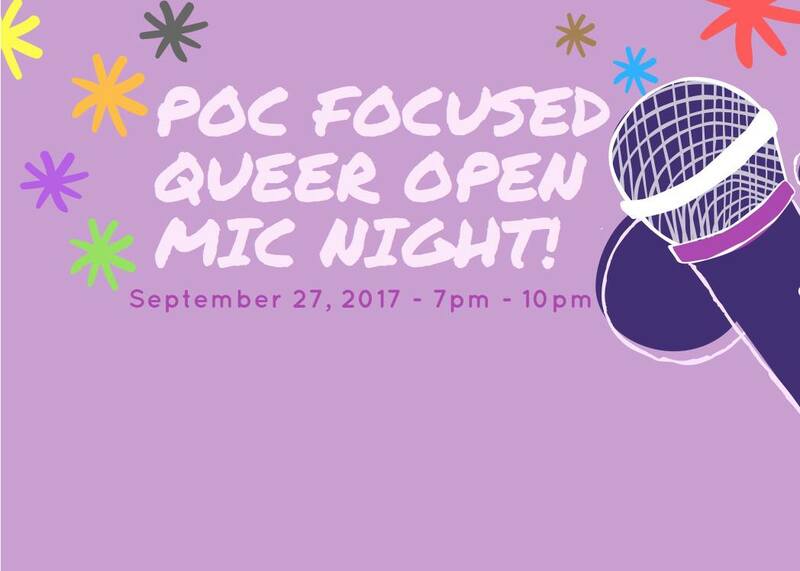 POC Focused Queer Open Mic Night! LGBTOUT and VicPride invite you to join us for the start of a new year of POC focused queer open mic nights! Come to the Cat’s Eye for an evening of performances from fellow students. This event is a space for Queer and Trans POC students to share their own self-expression through art. From spoken word, to song, to dance, and more – this will be a memorable night. There will be light refreshments available and admittance is free. If you are interested in performing please submit the following form by Friday, September 22, 2017 at 11:59 p.m.